(CN) — A period of globally low oxygen levels in Jurassic oceans that wiped out entire species and shrank others offers insight into how climate change could affect our marine ecosystems, a new study finds. The research examines the transformation of an ancient marine ecosystem during the Toarcian Oceanic Anoxic Event, a period of low oxygen in shallow ocean waters that occurred about 183 million years ago, during the early Jurassic period. The team reviewed fossils and chemical markers at the Ya Ha Tinda Ranch, near Banff National Park in Alberta, Canada. The research revealed a diverse marine community before the anoxic event, full of clams, fish and extinct oceanic species. After the event, the community collapsed, and the organisms living in it shrank. “We have this beautiful geochemical record that gives us a backbone for the timing of the (Toarcian) Oceanic Anoxic Event,” lead author Rowan Martindale, an assistant professor at the University of Texas at Austin, said. The most abundant type of clam in the community before the anoxic event was completely wiped out and replaced by different species. Surviving varieties were much smaller than earlier clams, which suggests that low oxygen levels limit their growth, according to the study. The sea life recorded at Ya Ha Tinda before and during the anoxic event is similar to fossils discovered at European sites. This similarity demonstrates the widespread nature of the event, according to University of Leeds lecturer Crispin Little, who was not involved with the research. “This confirms previous work suggesting that the Toarcian Oceanic Anoxic Event was genuinely a global event,” Little said. However, as other sites were recovering from the anoxic event, the Ya Ha Tinda community continued to face stress. “One of the interesting things about the recovery is that we actually see fewer individuals at a time when we’re supposed to be seeing community recovery,” Martindale said. 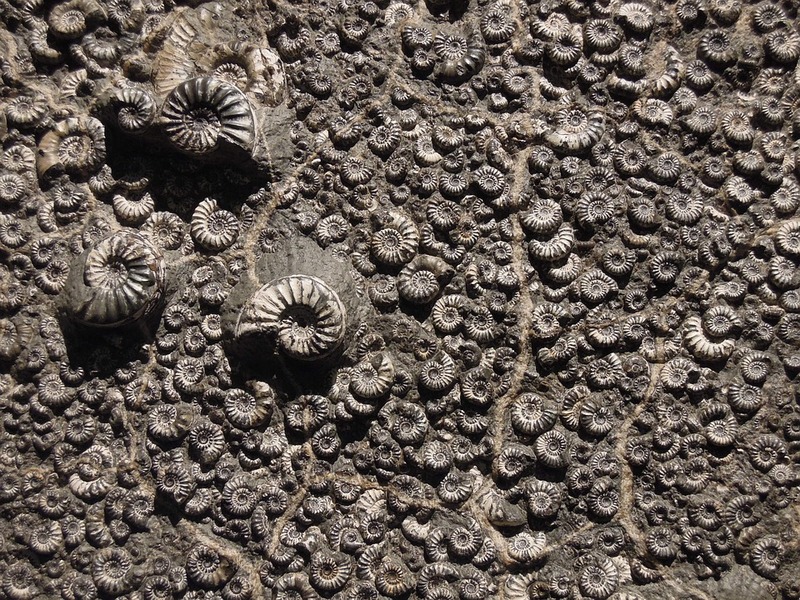 The fossils suggest that the environment was experiencing local stresses from suppressed oxygen levels, Martindale said. More research is needed to identify such factors. Since the anoxic event was a side effect of climate change, studying ancient marine communities could serve as a window into the future influence of climate change, according to study co-author Martin Aberhan, a curator at the National History Museum in Berlin, Germany. Large-scale anoxic events have been linked to periods of slower ocean circulation, global warming, and, in the past, periods of extensive volcanism, and the corresponding increase in atmospheric carbon dioxide. Anoxic events can be discovered from fossil beds and from rock core analysis from deep-sea drilling. The Toarcian is an age in the early or lower Jurassic Period. The Jurassic lasted from roughly 201 million years ago to 145 million years ago; the Toarcian Age from roughly 183 million years ago to 174 million years ago. It takes its name from the French city of Thouars in the Loire Valley, where rock strata were found to date from that age. It was published Saturday in the journal Paleogeography, Paleoclimatology, Palaeoecology.